It is the technology which enables many profoundly deaf people to hear once again. Whether an individuals hearing loss is age related or associated with their genetics, it can be an inconvenience when trying to engage in conversation. Unlike digital hearing aids, a much larger cost is associated with the hearing care treatment. On average the operation, scans, tests advisory sessions and follow up appointments with hearing care consultants can cost in the region of at least £30,000. It is a service which is available on the UK NHS, however there is as expected a waiting list. Approximately 10,000 people in the UK have undergone the treatment procedure. The procedure introduced many decades ago, has undergone vigorous tests and research to continuously improve the achievable results. We'd advise researching the procedure and all associated side affects further if you are considering signing up for the surgical procedure in the near future. 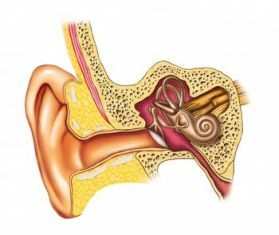 Read the article below to learn more of one womens personal account of the cochlear implant procedure. If you would like to find out more about the hearing care services our experienced specialists offer, or simply discuss your hearing requirements with us, please book an appointment online today.